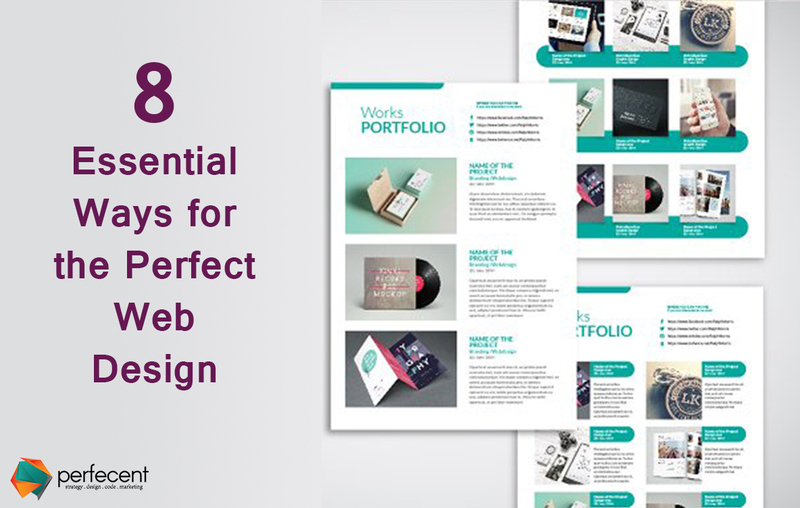 To have a perfect web design is like a dream that requires deliberation, research and time. Using effective tips are equally important as well-versed knowledge of programming-language or frameworks are. If your website is serving the purpose of e-commerce, then it should look professional enough to appeal others. Even if it’s not about selling, your site must come off as a professional. You can give your website a professional look easily by using a premium theme of word press. It is an economical way through which you can get the tempting theme for your site without bringing any underline modifications in existing software. Keep minimalism theory in your mind and always follow ‘less is more’ approach while designing. Both minimalism and simplicity are the fundamental need for your site that allow customers to interact. Visitors will find difficulty in navigation if your site is overloaded with extra stuff. Make your site simple for visitors by adding relevant ‘call to action’ on your site – a phrase that eases customers to do actions. It could be; contact us, message us, sign up. It is essential for your site to target one (particular) topic, especially if it’s your first site. So select the specific subject for your site on which you think you can offer best to the people, stick with it and make your website accordingly. Remember, if your site is taking too much time to load then it’s also losing viewership. Creating a website is not just about using a few complex programming languages. You have to use the coding or programming language wisely and also avoid all the additional content. Your website analytics is important about which you ought to know. There are many high-quality website analytic tools that exist in the market which allow users to check their site traffics. I would recommend Google Analytics; it is one of the most powerful and easy to use tool. The tool allows you to track site’s traffic and sales. Let you monitor, what people are searching for, from where visitors are coming, signup on newsletters, and other behavior flows. You can also improve your site by knowing the site’s analytics. Choosing the best platform from where you get no limitations on creating a website is essential. There are many options; for advertisement, it is ‘Wix’ that allows you to create hassle-free sites. On the other hand, word press is typically used for marketing purpose. For the e-commerce business, Shopify is considered as the best way to sell online. Opt the best platform where you get all your designing needs satisfied. I would recommend, WordPress; it is an easy-to-use and versatile platform. Typography is a visual art of organizing data. The more appropriate a typography of your site is, the more readers will understand your site. The designer should opt a perfect font, and style while keeping ‘readability’ in mind. Remember your site will probably lose its charm if you’re using more than three typefaces at a time, on one page. So, above are the tips that are essential to know if you have a website or are making a site.